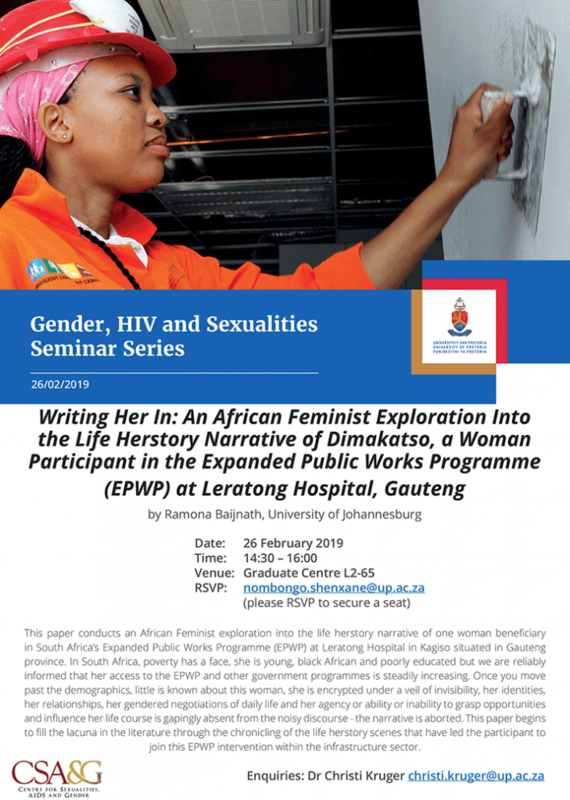 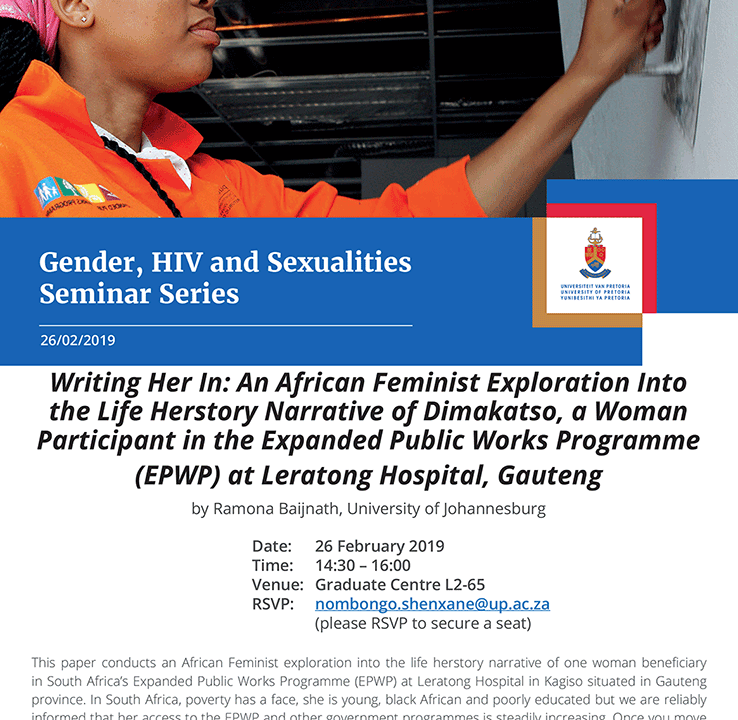 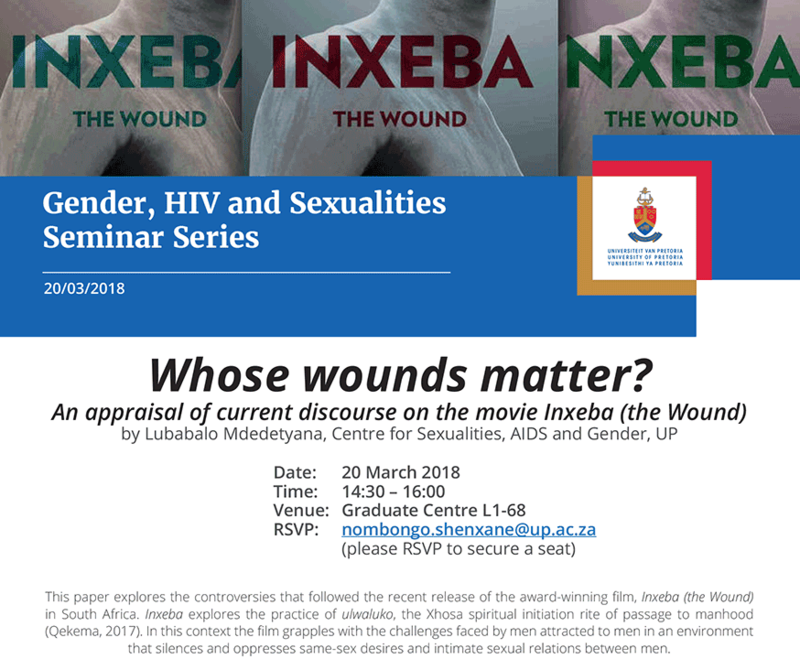 Engaging equally with Derek Hook’s various assertions that raced relationality has an embodied, viscerally-delimited base, and Susan Sontag’s 1989 work on the shifting relation between disease, body and citizenship, this seminar considers how whiteness (in particular, here, a narrowly defined Afrikaner gay male whiteness) is modulated when filtered through the representational lenses of HIV and AIDS; and, specifically, how this modulation manifests in the post-1994 work of three Afrikaans authors – Koos Prinsloo, Johann de Lange [I focus on De Lange’s two short story collections, not his extensive body of poetry], and Eben Venter. 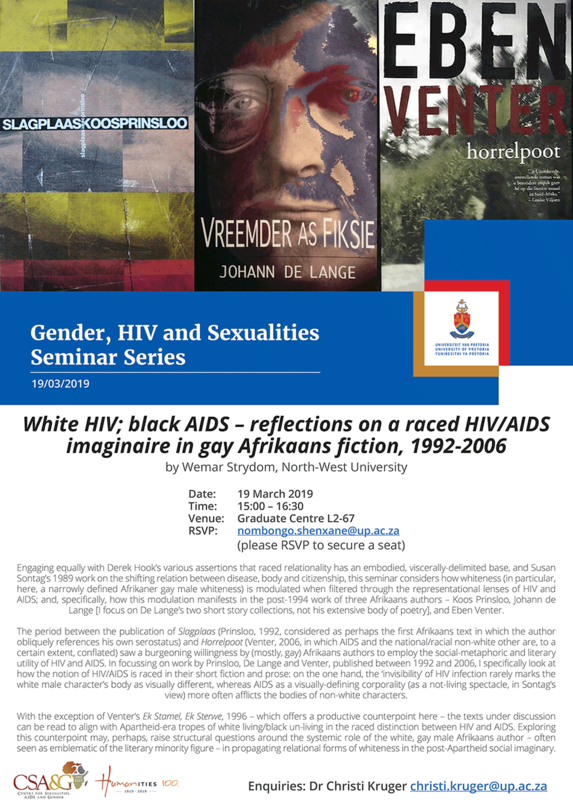 The period between the publication of Slagplaas (Prinsloo, 1992, considered as perhaps the first Afrikaans text in which the author obliquely references his own serostatus) and Horrelpoot (Venter, 2006, in which AIDS and the national/racial non-white other are, to a certain extent, conflated) saw a burgeoning willingness by (mostly, gay) Afrikaans authors to employ the social-metaphoric and literary utility of HIV and AIDS. 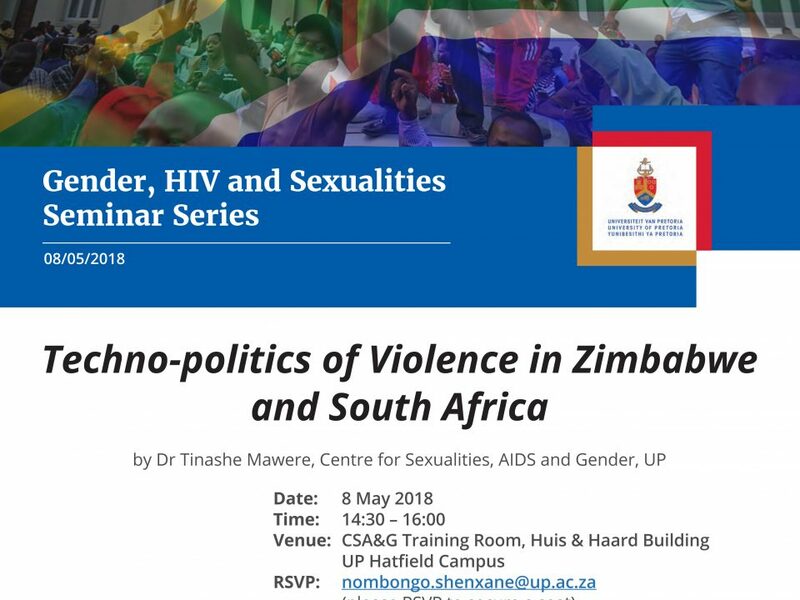 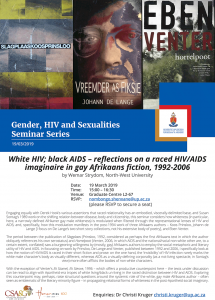 In focussing on work by Prinsloo, De Lange and Venter, published between 1992 and 2006, I specifically look at how the notion of HIV/AIDS is raced in their short fiction and prose: on the one hand, the ‘invisibility’ of HIV infection rarely marks the white male character’s body as visually different, whereas AIDS as a visually-defining corporality (as a not-living spectacle, in Sontag’s view) more often afflicts the bodies of non-white characters. 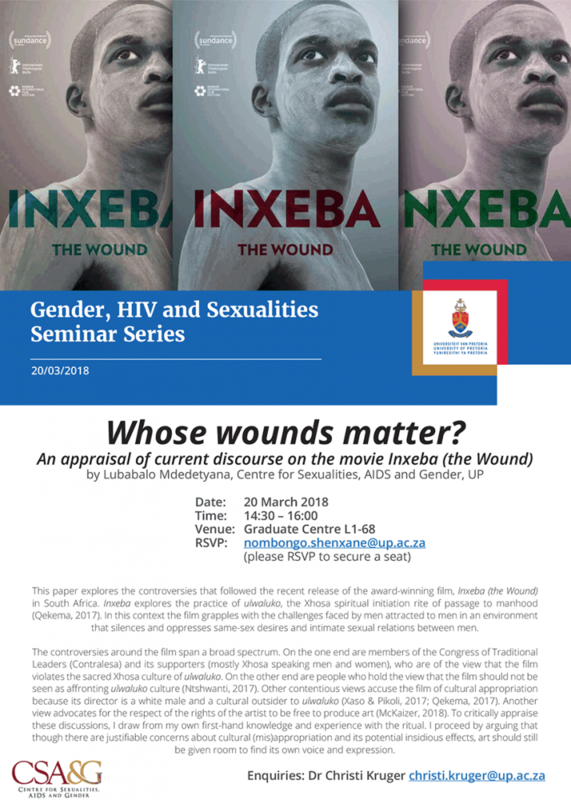 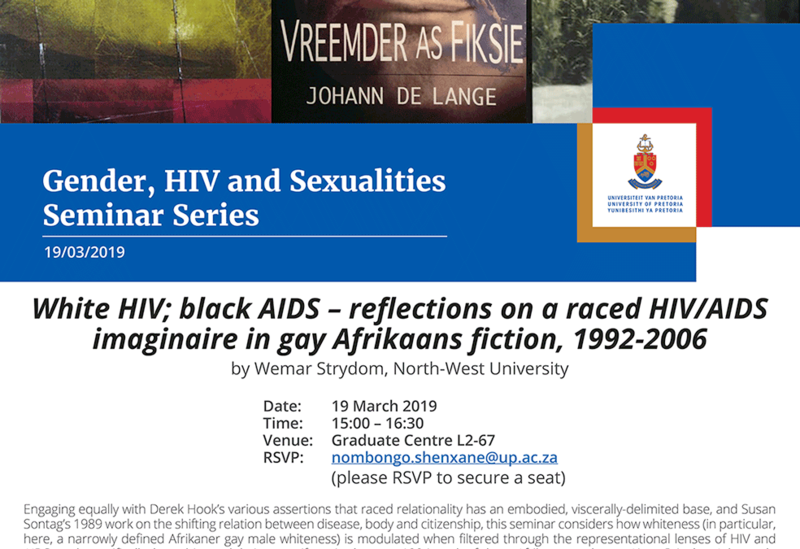 With the exception of Venter’s Ek Stamel, Ek Sterwe, 1996 – which offers a productive counterpoint here – the texts under discussion can be read to align with Apartheid-era tropes of white living/black un-living in the raced distinction between HIV and AIDS. 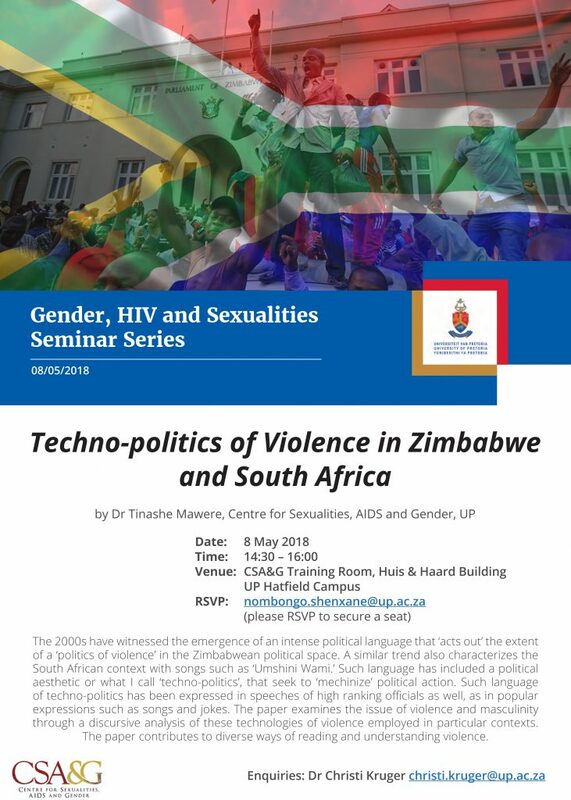 Exploring this counterpoint may, perhaps, raise structural questions around the systemic role of the white, gay male Afrikaans author – often seen as emblematic of the literary minority figure – in propagating relational forms of whiteness in the post-Apartheid social imaginary.